How to Draw Pictorial Chart. How to draw pictorial chart quick, easy and effective? ConceptDraw DIAGRAM offers the unique Pictorial Infographics Solution that will help you! ConceptDraw DIAGRAM diagramming and vector drawing software extended with Pictorial Infographics Solution from the “What is Infographics” Area is a best choice for those who want draw pictorial chart and design pictorial infographics. Simply drag the needed pictograms to your chart to make it attractive and successful. 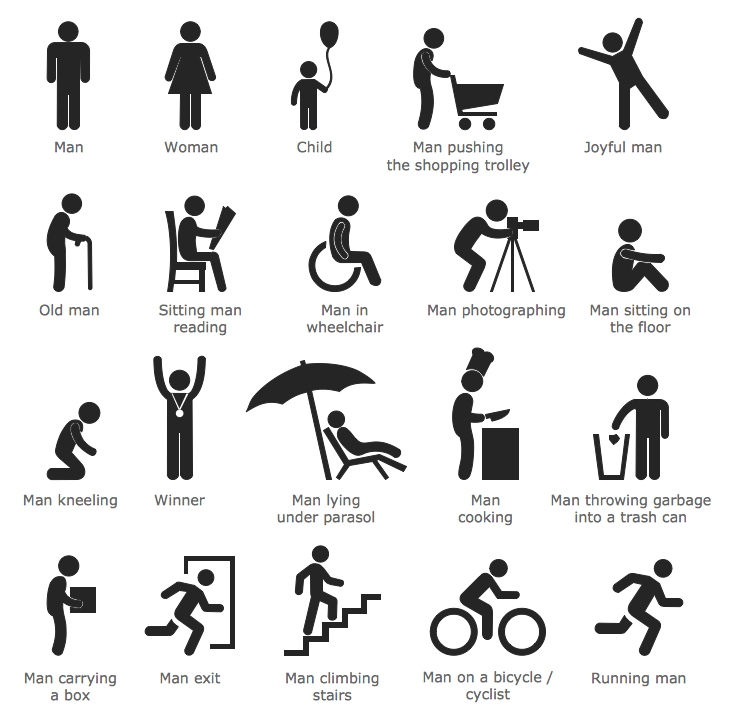 You can use the pictograms separately, or even combine them as you like in the compositions, copy / paste and rotate pictograms, etc. ConceptDraw DIAGRAM also gives you the useful possibility to make your infographics colorful! When you design infographics, simply click the pictogram at the document and apply the desired color from the palette to color it. Pictorial Infographics solution provides also large quantity of sample infographics, sample pictorial chart and templates allowing anyone design pictorial infographics of any complexity in a few minutes. 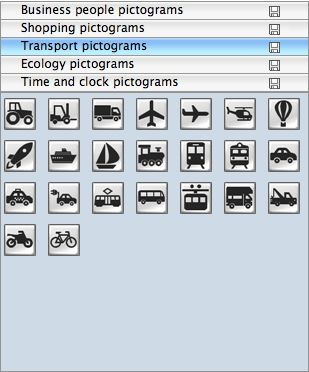 This sample pictorial chart was created in ConceptDraw DIAGRAM using the Computer Pictograms, Ecology Pictograms, and People Pictograms Libraries from the Pictorial Infographics Solution and illustrates the statistics of computer and internet use in the United States. Solution Pictorial Infographics from ConceptDraw Solution Park extends ConceptDraw DIAGRAM ector diagramming and business graphics software with easy-to-use design pictorial infographics drawing tools. Use Pictorial Infographics solution for quickly and easy design pictorial infographics documents and then successfully use them for your needs. Sample Pictorial Chart - Pictorial Infographics solution provides easy-to-use design infographics drawing tools, large collection of different sample infographics and infograms, sample pictorial chart and templates to be filled in, and 10 libraries with great quantity of predesigned vector pictograms. 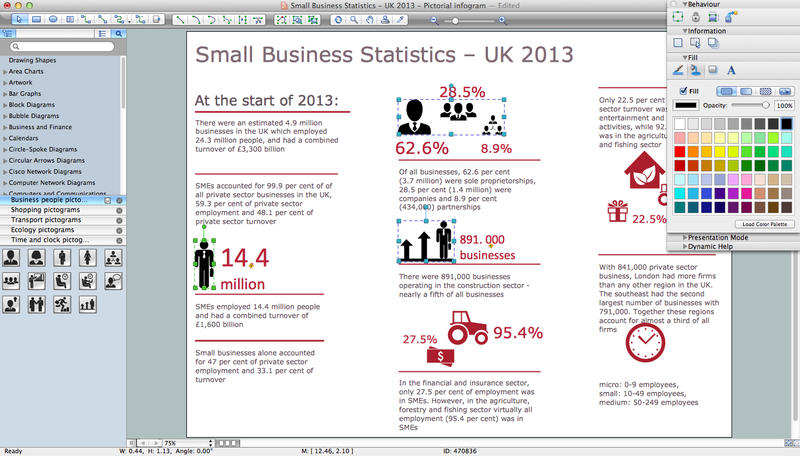 Use Pictorial Infographics solution to draw your own design pictorial infographics documents quick and easy. A comprehensive selection of predesigned vector stencils libraries allow you to create eye-catching infographics relating to any human resource management process. Also included are standardized hr flowchart symbols, meaning your diagrams will be relevant and understood by all business associates. Infographic is a visual way of representing various information, data, knowledge in statistics, geography, journalism, education, and much more areas. ConceptDraw DIAGRAM v12 supplied with Pictorial Infographics Solution from the “What are Infographics” Area, provides a set of powerful pictorial infographics tools. Thanks to them it is the best Infographic Maker. You want design Pictorial Chart or Infographic? And you need powerful infographic software? Then ConceptDraw DIAGRAM v12 diagramming and vector drawing software extended with Pictorial Infographics Solution from the “What are Infographics” Area is exactly what you need.